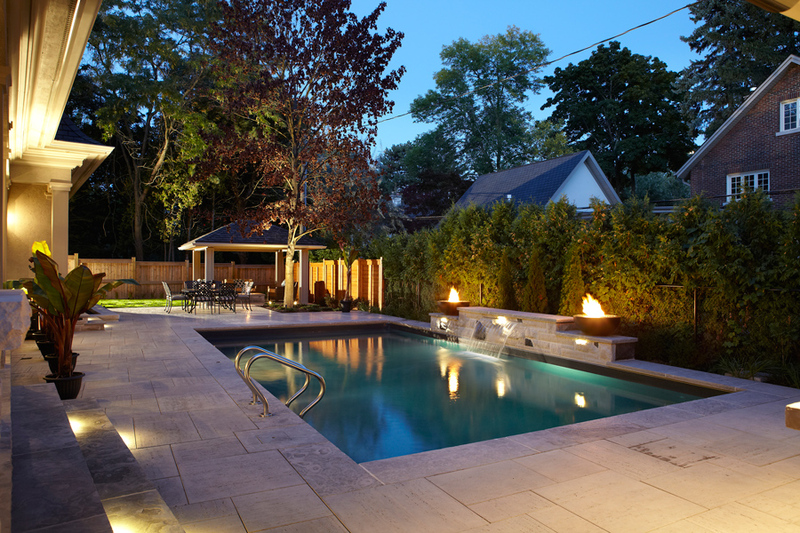 The Maddens elegant rectangle pool is the perfect blend of simplicity and modern design. 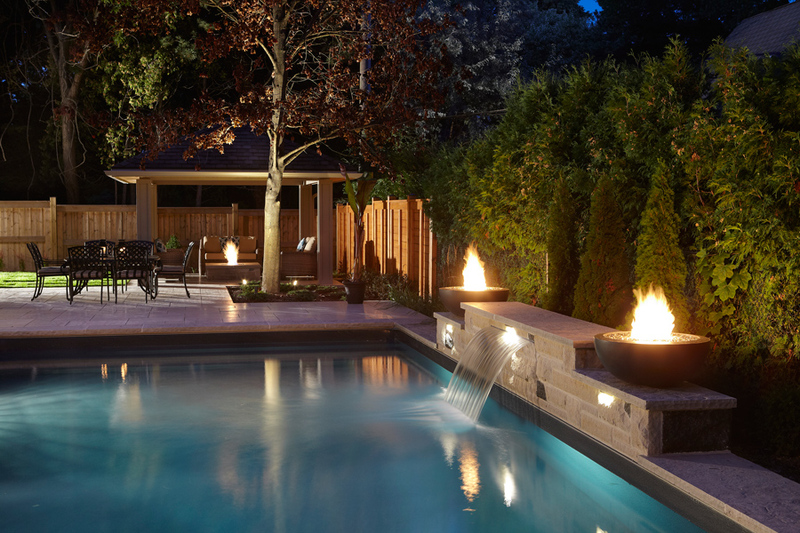 Creating a backyard retreat can be your opportunity to include as many items as you like, or in this case, maintain a clean and simplistic atmosphere that projects beauty and elegance. 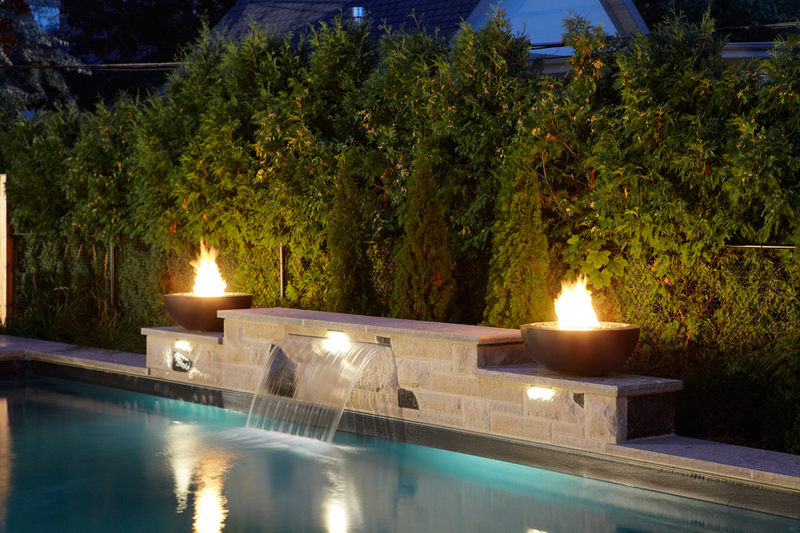 The crisp line of the sheer descent that boxes in the shape of the pool with the home, provides a three tiered design that features a breathtaking sheer descent waterfall in the center that cascades water gently into the pool. 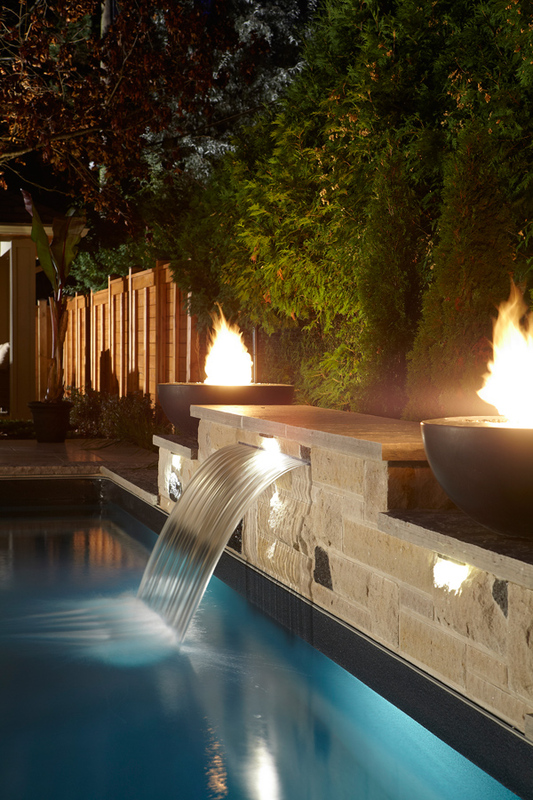 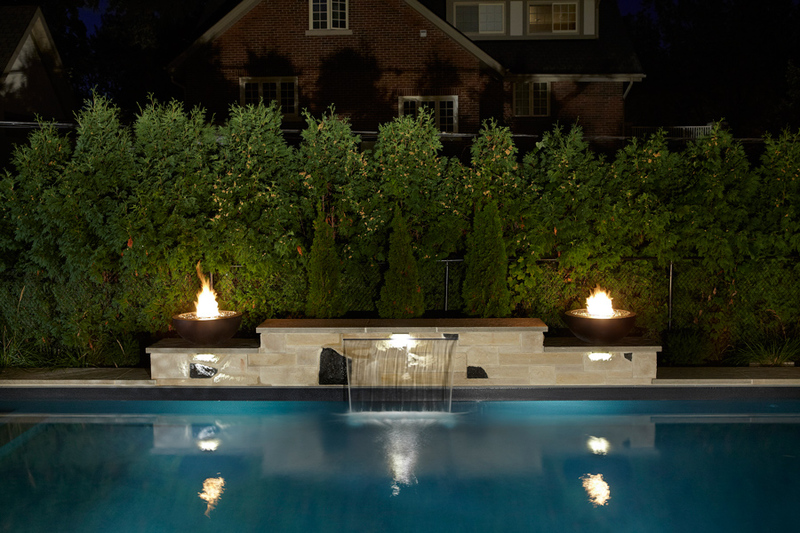 Underwater lighting is a crowd pleaser for those evening and late night dip with friends while the rich colour palette showcases the natural beauty of the liner and surrounding stonework. 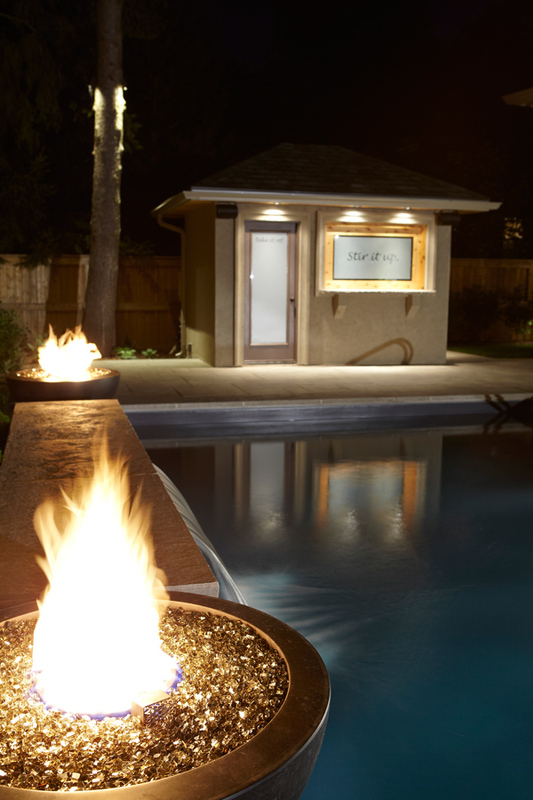 This is truly a backyard retreat to be enjoyed with friends and family on any occasion.